Remember Waldo? The bespectacled, hat wearing children's book character with the red and white striped sweater is about to show up on your smartphone. For Google Maps' April Fools' Day prank, you can play "Where's Waldo" on your handset. First, make sure you have the latest version of Maps on your phone, and open up the app. You'll find Waldo waving to you from the left side of the screen. Click on the image of Waldo and you'll be prompted to start the game. Waldo will first tell you where he is; for example, he might tell you that he is visiting the Andes Mountains in Chile. You will then have to pick Waldo out from a crowd of people who are wearing some combination of clothes that are somewhat similar to Waldo's outfit. 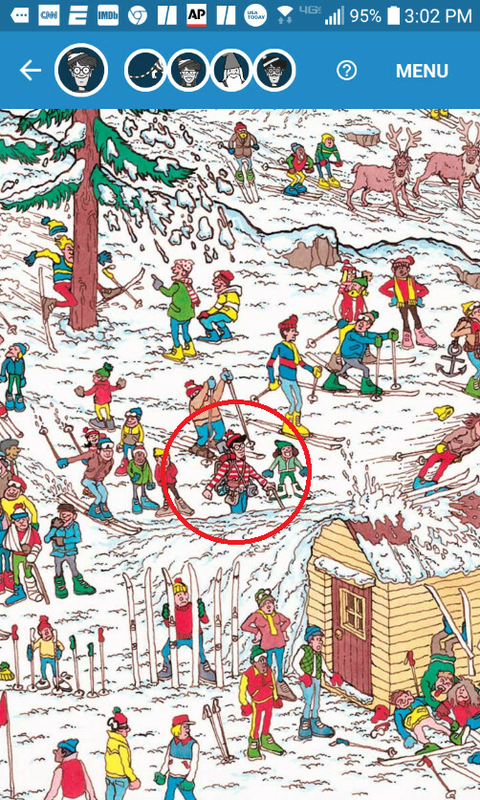 Besides Waldo, you can also search for Wenda, the dog Woof, and Wizard Whitebeard. And don't forget to find the villain Odlaw, whose name is Waldo spelled backward. To share your Waldo-finding experiences with others, you can pass along your comments on Instagram and Twitter by using the @GoogleMaps handle and the hashtag #WaldoMaps. And even though April 1st is tomorrow, you can play the game on your phone or on your desktop right now. I dig it, but I'm already done finding everything... I wish they'd make the Pac-man game from a few years ago a permanent feature, now that was an awesome time killer. but it isn't available as a plugin for Google Maps like it was for April Fools a few years back.... is it? Tried to look business like and show someone a location using google maps and up pops this Waldo thingy and spoils the moment. Thanks Google for making an app look less serious. Where is Waldo, answer is where he does not belong.